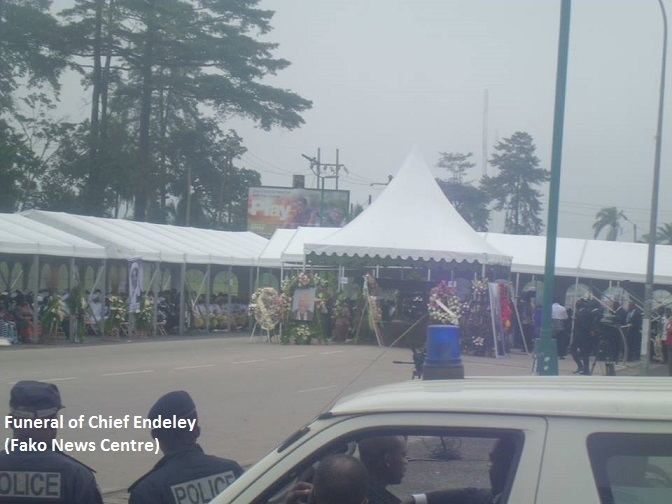 The funeral ceremony that witnessed a weeklong of traditional activities ended on Saturday the 25th of July 2015 with a funeral service organised by Presbyterian Church, Buea Town. 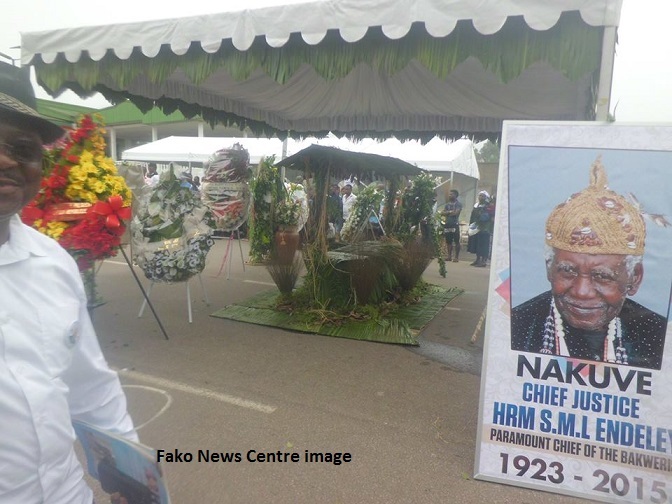 The service was held at the Independent Square (Bongo Square), Buea, before proceeding with burial rights at the Mokunda Palace, Buea Town. The late Chief Justice and Paramount Ruler of Buea, who was born on the 9th of June 1923, joined his ancestors in the early hours of Thursday, 7th of July 2015 a few weeks after clocking the age of 92. The late traditional leader ascended to the throne of Buea in 1990 to succeed his late uncle, Gervasius Mbella Endeley who died in 1982. He was the second son of Chief Mathias Lifafa l’Endeley II and Mariana Mojoko mo’ Liombe of Small Soppo Wonganga. The father of six, who initially graduated with as a Pharmaceutical Chemist and Druggist Diploma with distinction in Forensic Pharmacy from the Nigerian School of Pharmacy in Yaba, later gave up a successful carrier as a pharmacist to read law in England. He was called into the Bar of England and Wales at Middle Temple Inns of Court in 1960. After practising as a barrister from the Lifafa Chambers in Buea from 1960-1966, he was called to the Bench, as is the practice of common law jurisdiction. 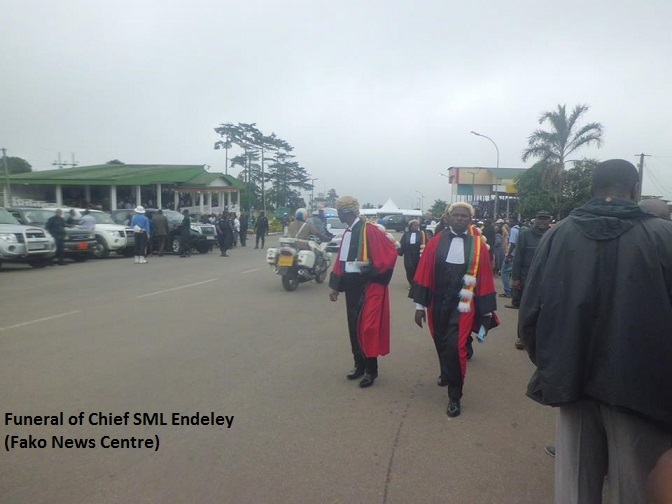 This made him the first Cameroonian judge on the High Court of the federal state of West Cameroon. He held other duty positions until he became the Vice-President of the Supreme Court of the United Republic of Cameroon in 1972 and from 1973, President of the Administrative Bench of the Supreme Court. He occupied other administrative positions before his retirement.